Over the past 6 years, Karen Karp & Partners has worked closely with the Rhode Island Food Policy Council (RIFPC) as they have grown and strengthened the state’s food system. First commissioned in 2011, KK&P detailed the then-current capacity of Rhode Island’s food system, identified priorities for the RIFPC and other stakeholders working to increase community food security, and identified gaps in the state’s food system and assets that could be leveraged to fill those gaps. Much has been done in Rhode Island since 2011 to successfully put that research into action, culminating in 2016 with the creation of a new position within the governor’s office, the Director of Food Strategy. In preparation for that new role and the state’s first food strategy, the RIFPC retained KK&P to update the 2011 assessment with the most recent data, focusing on public health, economic development and the intersections between the two as they play into and play out in the state’s food system. 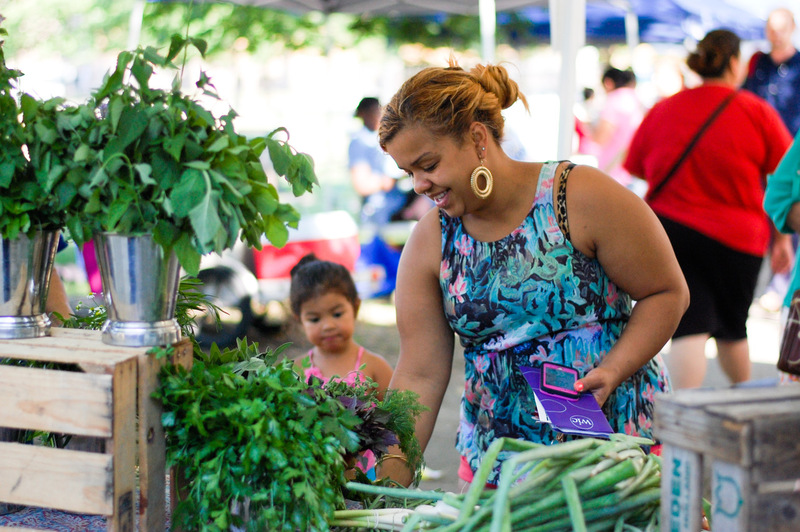 One of the most important outputs of that work was an interactive map-based food access tool. 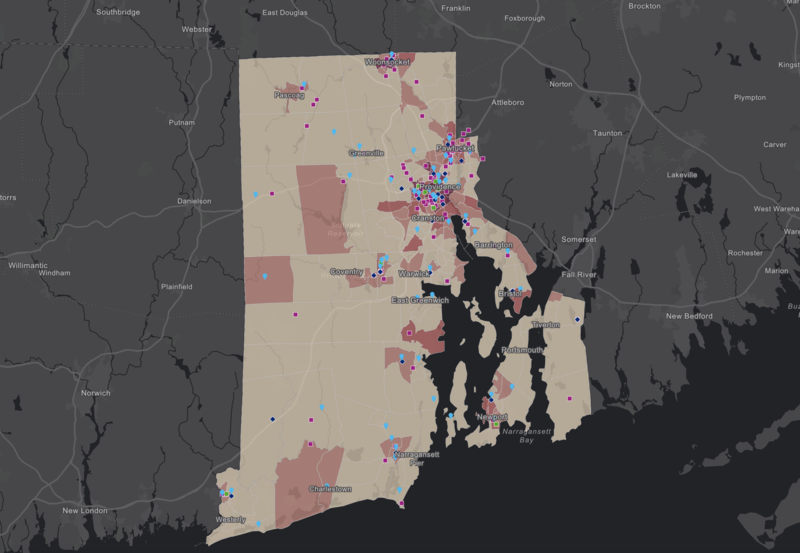 The map was further developed as part of the American Planning Association’s (APA) Planners4Health grant program, which allowed KK&P to collaborate with RIFPC, the Rhode Island chapter of the APA, and the state’s Director of Food Strategy to refine the interactive map and story map. 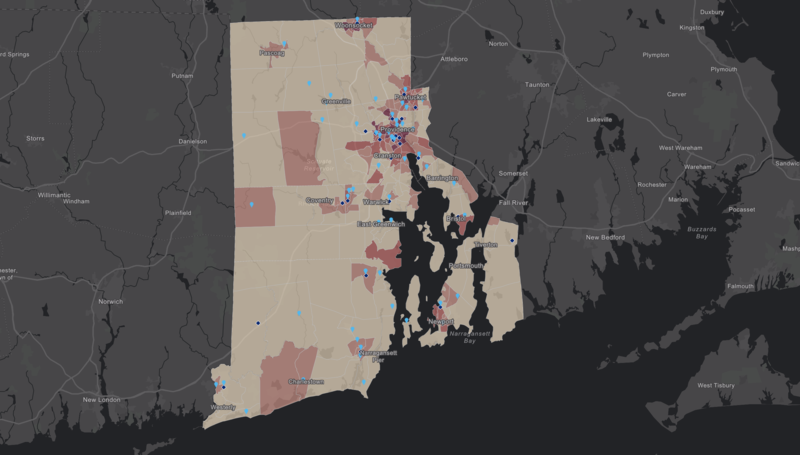 Created using GIS technologies with data from sources including the American Community Survey, Rhode Island Department of Health, Rhode Island Community Food Bank, the USDA, and Rhode Island Public Transit Authority, the tool allows for the visual integration of these complex data sets into an intuitive, interactive map that allows users – be they elected officials, practitioners, researchers, or any other interested Rhode Islander – to seamlessly toggle between the graphic and the corresponding data. In this way, users can question, analyze, and interpret the data as they see fit and then begin to draw conclusions about how people in different neighborhoods experience getting to stores, and shopping for and eating food on a day-to-day basis. KK&P also created an interactive Story Map, which introduces people to the key concepts of food access and food security while walking them through the data layers and functions of the map. Whereas the full interactive map allows visitors to explore the map in detail on their own, the story map guides them through the map with a narrative that also features stories and media. This work is now setting the stage for the implementation of the state’s first comprehensive Food Strategy (one pillar of which is “Ensuring Food Security for All Rhode Islanders”) and serving as a foundation for the next phases of local food system planning and growth in Rhode Island at the state, municipal, community, neighborhood, and grassroots levels. To see a webinar featuring Shayna Cohen and Ben Kerrick explaining the development of the map, click here.